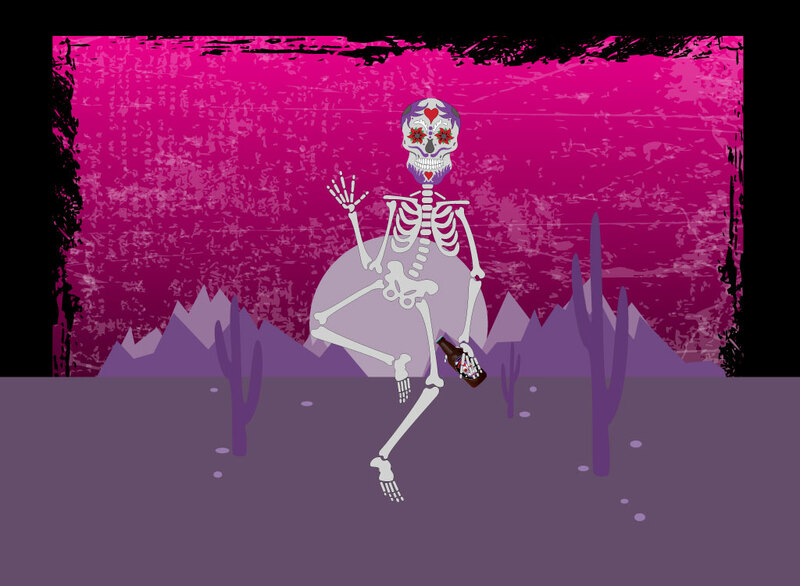 Day of the dead inspired vector art featuring a skeleton sitting on a rock in a desert landscape holding a beer. Simple graphics and a decorative skull resembling the classic Mexican sugar art. Free download for your Halloween themed illustrations and day of the dead designs. Tags: All Saints, Celebration, Halloween, Mexicans, Mexico, Skeleton, Skull, Sugar Art.